ZuidZorg Extra is a business unit of ZuidZorg, a large home care organization in the southern part of the Netherlands. ZuidZorg Extra has about fifty thousand members who pay annual subscription to have acces to our services and products. They also enjoy price reduction in our homecare shop and on special products and facilities such as collective health insurance. In addition to this, the main focus is on the lonely and frailty elderly and to strengthen their social wellbeing. ZuidZorg Extra is partner of the TU/e and provides the use-cases for the analyses on the Motivation and Acceptance perspective. 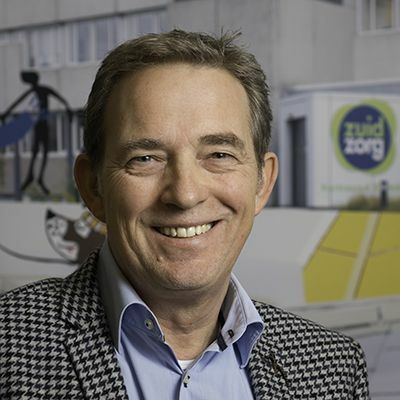 To tackle loneliness amongst the (frail)elderly, ZuidZorg Extra visits them at home and organizes activities in Meet and Greet centres where they receive support in creating their own social network. This platform stimulates and helps the elderly to live independently in their own homes for as long as possible, while remaining a healthy and social lifestyle. The centre in Eindhoven, provides a wide variety of activities to bring elderly together. For instance, there is a cooking club, a knitting group, a social cafe, and a vitality program. Approximately 150 to 200 elderly visit the centres per week. In fact with our Meet and Greet centres we offer the researchers acces to the target group, in a kind of field lab.